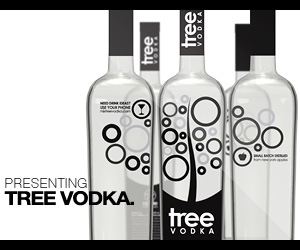 One of the first organic vodkas on the market. Made with 100% organic white corn . Outstanding for the money. 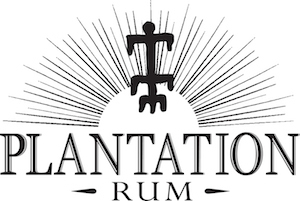 Notes: This vodka is produced at the scenic Buffalo Trace Distillery in Frankfort (close to Woodford Reserve Distillery if you are touring) – home of numerous whiskies such as Blanton’s, Rock Hill Farms, Hancock Reserve, George T. Stagg, and Elmer T.Lee. (See our Adventure Section for a tour of the distillery). This is one of of the few organic vodkas out there. It is further distinquished by the use of 100% organic white corn (many of the others use wheat or a blend of different grains, or potatoes). This is good news for people who wheat or gluten intolerant, or are looking for a healthier alternative vodka. That being said, it still tastes good! They distill their vodka at least 4 times to achieve the purity they are looking for, without making it completely flavorless. In our Adventure section we visited the still where this was made. Unlike many “organic” vodkas nothing else is made in the same still. It is solely dedicated to the production of this spirit alone. Appearance: Crystal clear, no sediment whatsoever. On swirling it leaves a thin, clear coat on the inside of the glass. First Impression: Very clean nose of alcohol, but a slightly sweet smell to it – no smell of ester or oils. This distillation process seems to use the heart of the distillation. Well done! Taste: Sweet and light on the tongue, plump, round taste to it. A slight warming of alcohol as it goes down the throat, but not the burn like you get from a lot of other vodkas, it is beguilingly smooth stuff with lingering warmth and tingle to the lips. Drinks: If you are looking for a good vodka this is it. It works quite well in almost every drink we tried and brings some unique nuances to many drinks. Unlike a potato vodka it works well with vermouth to make a outstanding vodka martini. (Potato vodka and vermouth somehow end up tasting like dirt, especially Noilly Prat). Being organic white corn, there is some inherent sweetness to the vodka which also makes it an excellent choice for any infusions also. Most vodka infusions call for sweeteners – Rain doesn’t seem to need it which can simplify the production of an infused vodka immensely and makes for a cleaner tasting product. It also works extrememly well in the drinks they have developed for it. It is also THE vodka to use for infusions or flavored vodkas, liqours, etc. With its slightly sweet taste and wonderful body, it is absolutely our choice for making all of our infused vodkas. If you are going to make a infused vodka remember the old rule about ingredients (garbage in, garbage out), and don’t waste time, money and effort on bad vodka as a base. Bottle: Rain or tear-drop shaped bottle with minimalist graphics and frosting down to about 1/2 point on bottle to highlight the tranparency and purity of the product. Dark blue transparent stopper nicely sets of the long-necked frosted bottle. Final Thoughts: An excellent value for the money – half the price of “fashion victim” vodka and better tasting! A healthier, cheaper alternative to a Goose! 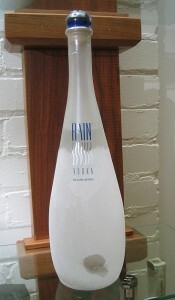 Website:: www.rainvodka.com Animated intro with sound of soft thunder in the distance. Nice fadeouts, not brashy or loud. Fast loading, with a fair amount of information. Simple navigation, easy-to-read. Well thought-out content and descriptions of production. Nice list of bars in major cities where you can find it under the Rain Downpour section. Small recipe section with good martini mixing tips at the start.